Global music, stories and culture in the Texas Hill Country. 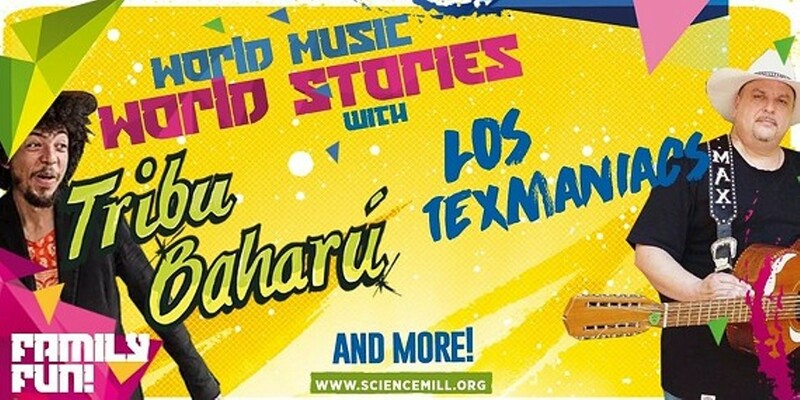 The Hill Country Science Mill in Johnson City and OUTSIDE VOICE host a “World Music, World Stories” backyard concert Saturday, March 18 from 1-6pm. This family-friendly event will feature exciting performances by world-class bands from around the globe, including Tribu Baharú from Bogota, Colombia, Los Texmaniacs from San Antonio, and others to be announced. Picnics are welcome (no glass containers, please), as are blankets and lawn chairs. Food will also be available from the on-site Lady Bird Lane Café and several food trucks.